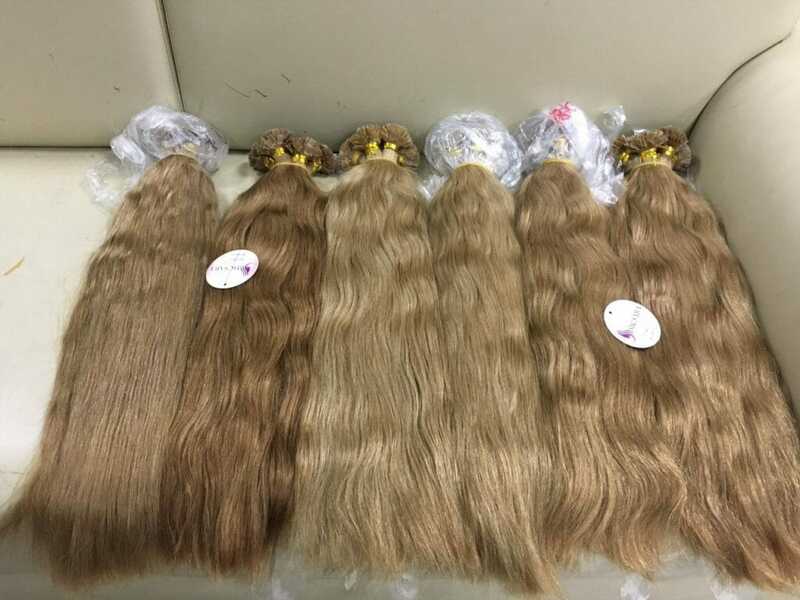 Flat tip hair extension made by Vietnam remy hair which is bodywave and dyed brown with a fashionable straight style and color. Having the unique features, the Vietnam remy hair extension will be suitable for the girls who want to have a long hair and thick hair. Moreover, brown is a beautiful color hair which is never out of fashion. It is the fact that a lot of famous Hollywood stars have their hair dyed brown and brown also makes your face brighter. Flat tip 22 inches is 100% Vietnam remy hair without being chemical processed and not harmful to human. We ensure that our products are carefully chosen from MCSARA with highly qualified additional manufacturing process in order for bringing the best things to clients.